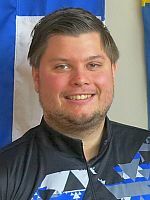 For the third consecutive year, Benjamin Jonsson of Sweden led the 14th qualifying squad at the Norwegian Open by Brunswick, the final event of the 2018 European Bowling Tour, which is currently underway at Lucky Bowl Veitvet in Oslo, Norway. 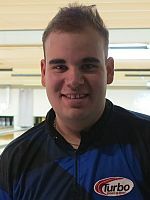 Jonsson (right, and featured photo) had 1376 in the 2016 event, improved by 47 pins to 1423 in 2017 and another 43 pins this year to rocket into third place in the overall qualifying standings. 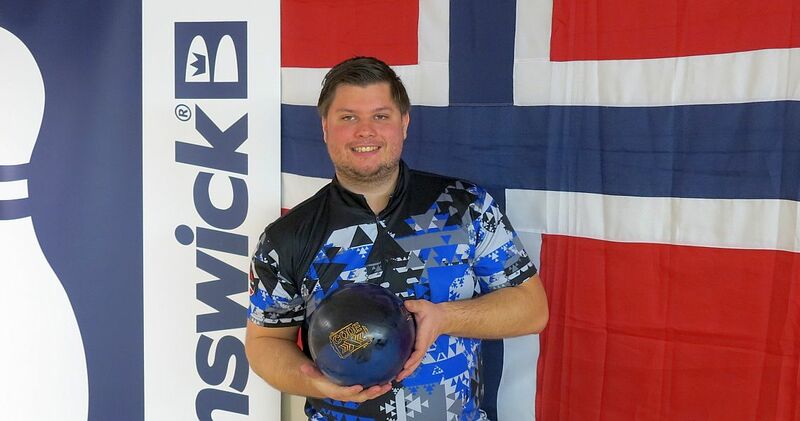 Jonsson started his six game series Thursday afternoon with 230, 218 and 204 before he averaged over 271 for the last three games (279, 269 and 266) for 814 and 1466 total. 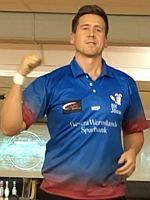 Swedish bowlers continued to dominate the 134-player leaderboard as they man the first four places. One-time EBT champion Mattias Wetterberg holds the pole position since squad 9 with 1514 and an average of 252.33. Eric Sjøberg (right), who had the only 300 game in the tournament, also in squad 9, remained in second place with 1497, while Mikael Roos fell from third to fourth place with 1444. 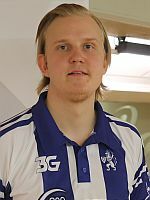 The best Norwegian bowler in the field is Audun Boye Hansen (left) in ninth place with 1383. Swedish champion Annie Thorell of Sweden is the best of 24 women in 16th place with 1366, including eight bonus pins each game, an equality handicap provided to women in all EBT events. 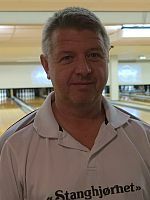 Trailing Jonsson by 122 pins to finish squad 14 in second place was Jan Egil Hansen (right) of Norway. Hansen rebounded from a slow start (171) with 226, 201, 268, 266 and 212 to leap into 25th place with 1344. Notables who moved into the top 42 in their very first attempt were Finnish national team member Niko Oksanen (left; 35th, 1316) and former Norwegian national team member Mads Sandbækken (38th, 1307). The score to make the cut in 42nd place has reached 1300-plateau. 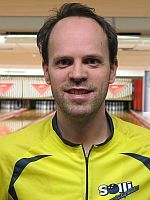 Håkan Persson of Sweden is the man “on the bubble” with an average of 216.67 for six games. Qualifying continues on Thursday, Oct. 11, with squads 15 & 16 starting at 5 and 9 p.m. Central European Summer Time (CEST).